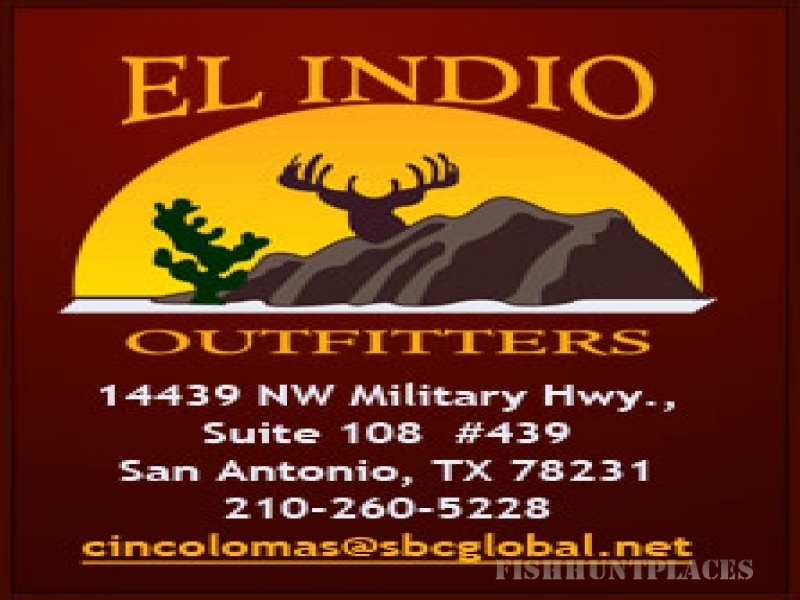 El Indio Outfitters has been in the hunting services industry for 14 years and knows what is required to make a successful hunting experience for our clients. Our ranches are privately owned and privately operated with no middle-men involved. El Indio Outfitters is a family run business and brings with it a family-type atmosphere. From the very first contact, we make sure that the hunter and the services we offer are compatible. We believe being honest with potential clients is very important and if we feel we cannot produce what you are looking for, then we will tell you and help you find an outfitter that can. We offer a select number of hunts to clients every season and never overbook the number of hunters that we feel we can serve. With highly-managed ranches and the most knowledgeable guides, we have produced some of the best and biggest bucks in South Texas every year. If you are looking for an outfitter that is in tune with their clients needs, you should look no further. If you wish to hunt in the legendary brush country of South Texas and chase BIG whitetail, you should look no further. If you want to make sure you are not throwing away your hard-earned money on another wild goose chase, you should look no further. We have current and past clients from across the United States that would be happy to give you their honest opinion of what we offer. When inquiring about hunting with El Indio Outfitters, you will deal with only me, the owner Brandon Davis. I appreciate you taking the time to look at our website and consider us for your next whitetail hunt in South Texas. Thank you.